Spike Lee urged voters to choose between love and hate during his BlacKkKlansman Oscar acceptance speech. President Donald Trump did not appreciate Lee's speech and called it a "racist hit" on his presidency during his Monday morning Twitter session. The often controversial director was taking his time on the Academy Awards stage in front of millions of people to talk about the 2020 presidential race. He had this to say. "When we regain our humanity it will be a powerful moment. The 2020 election is around the corner - let's all mobilize and be on the right side of history. Make the moral choice between love versus hate." Donald Trump took the Spike Lee speech as a direct attack and slammed the director on Twitter. Lee is a very vocal critic of Trump, who he often refers to as "Agent Orange," so it makes sense why the president would be more than a little upset. However, Lee never mentioned him by name. You can read Trump's response below. 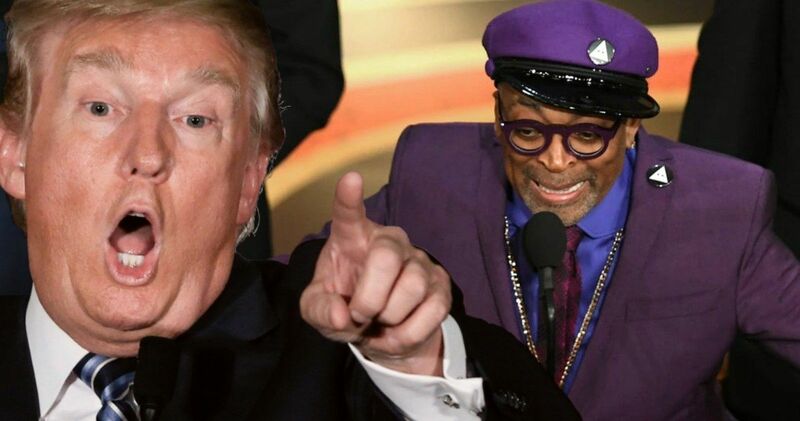 "Be nice if Spike Lee could read his notes, or better yet not have to use notes at all, when doing his racist hit on your President, who has done more for African Americans (Criminal Justice Reform, Lowest Unemployment numbers in History, Tax Cuts, etc.) than almost any other Pres!"